This is technically not a Nubar duochrome... But it still changes colors. 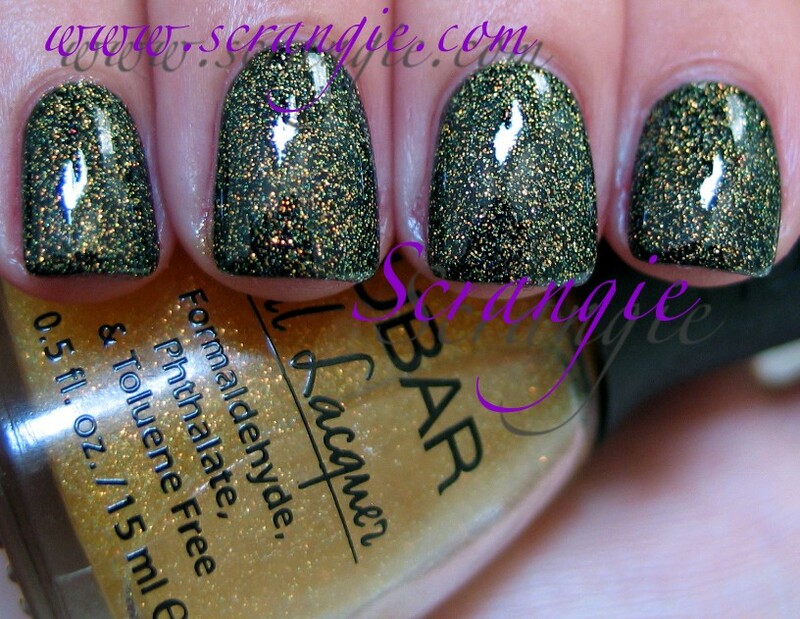 This was one of the first Nubar polishes I ever tried- and I didn't like it at first! The base is really yellow and it's hard to wear alone because it makes your nails look yellow. But over black? AMAZING. 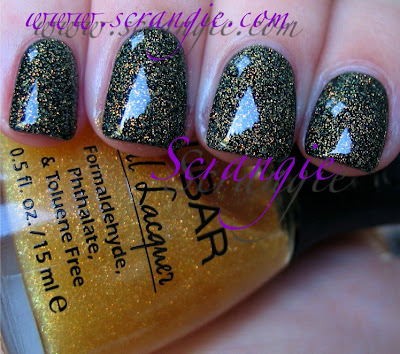 Nubar Angelic Glitter (two coats) over black. Not only does this polish have teeny tiny glass-flecky iridescent microglitter, it has an overall yellow/orange/red/green duochrome to it! I can't even describe how pretty this is in real life. You just have to see it with your own eyes. This shade was made for layering! 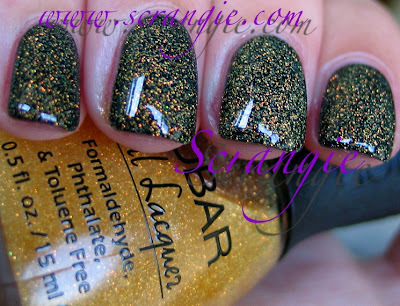 Now, I also have a Nubar glitter called Shimmering Tulle that looks practically identical to this. I can barely tell them apart. They both have the really yellow base, too. The website depicts each polish as having a clear base, so maybe mine is just yellow with age, but they arrived that way, so.... I have no idea! I'll show this one alone next, but I think it looks best over black or brown or another dark color. Simply gorgeous - I love the incredible amount of shimmer! Oh MAN, WHO KNEW? Do you have any idea how many more bottles of polish Nubar (and everyone else) would sell if they had great swatch photos like these on their sites? All they show is a pic of the bottle, which just looks like an aged half-ounce of thin and sparse drugstore glitter polish. Now I have to get this one. Bet it's equally amazing over sapphire blue. so pretty! sucha nice glitter, I wish the duochrome would translate more in the photos! Wow! Over black this is utterly perfect. I think it WOULD look weird alone!